THE NETWORK is an integrated web of “consultancy artisans” who have pooled a great capacity to generate unconventional ideas and high added-value projects. 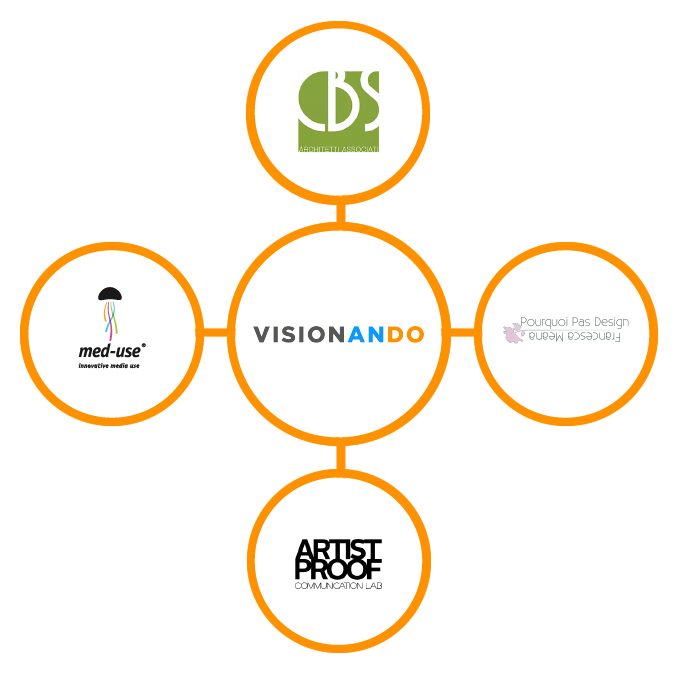 Visionando is affiliated with ArtistProof (Communication Lab), CBS and associates (Concept Store Design), FrancescaMeanaDesign (Packaging e Interior Design) and Med-use web agency. This is THE NETWORK: a platform that blends the fundamental competencies for 360° corporate consultancy. 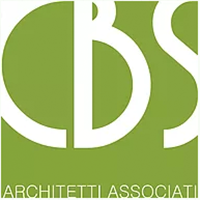 The CBS associate architects studio began as the evolution of the ARCBPS studio, which was in business since the 1970s. Today, the studio is composed of architects Aldo Castelletta, Michelangelo Castelletta and Giovanni Gardin, it is based in Novara and operates in the field of design on various sizes of intervention, from the urban to interior development. The sectors of activity includes residential, offices, commercial, healthcare and education both in the creation of new premises and also in the revamping of existing premises. ArtistProof is a creative agency which has collaborated since the start with some of the most influential figures in art, fashion and contemporary design; working with directors, writers and intellectuals to create visionary content which explores every aspect of collective imagination. A mobile and flexible agency, it stands out for its ability to welcome differences as a value to be supported and promoted. Francesca Meana defines herself as a Paper Designer because with paper she can devise fittings, packaging and create narratives of every kind. Packaging has always been a part of her life since her family’s firm has been producing tins for over 100 years and has always been a very important presence, in the early years as a place to spend quality time with her father, and now for collaborations aimed at recounting the corporate image. Together with her love for Design, she also developed a deep passion for photography, enabling her to collect and express her emotions and ideas through images. All in all, she likes being versatile so that she can transform her passions into projects, work and values. Med-use is an innovative company in the world of the web, which builds successful digital experiences and original visual identities in line with the needs of the clients and the digital end users.